A PAIR of green sea turtles had an underwater wedding with a three-tier cake, witnesses in wetsuits and broccoli bouquets. 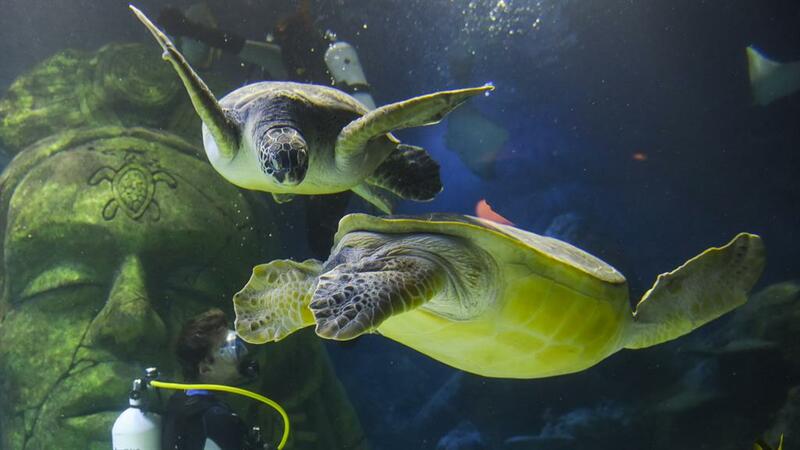 The marriage — blessed by a real priest — was Manchester Sea Life Centre’s attempt to get Cammy and Ernie to mate and help protect their endangered species. 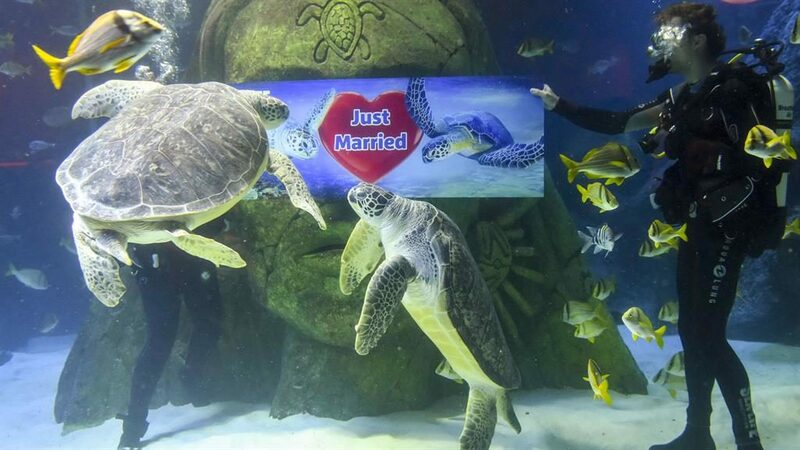 The turtles had a 30-strong reception and an underwater ‘Just married’ banner. Ernie, who is 12, was making it clear he was getting fed up with the single life when he got frisky with a large stone in the Stretford-based aquarium. Ernie’s carers found Cammy, a 16-year-old female living at Sea Life Loch Lomond, West Dunbartonshire, needing a male to stimulate her to release her eggs.